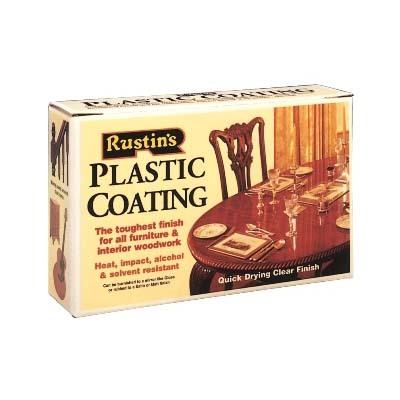 Plastic Coating - Two-part clear cold cure lacquer for use on wood, hardboard, cork and plastic laminates. Extremely good adhesion, resistant to heat, solvents and abrasion. Can be burnished to a mirror like gloss or rubbed down to a smooth, satin finish with steel wool and wax. An excellent finish for marquetry as it does not darken light coloured veneers and does not yellow or craze on ageing. Hard-dry within 2 hours of application.